When you get a new computer, tablet or mobile phone, what do you do with your old device? If you dump it in a desk drawer or storage closet, you could be at risk of extreme gadget obesity. What is extreme gadget obesity? It’s a term used by the folks at uSell to describe those households that decide to keep their old, outdated tech items for at least 2 years after their last use. According to the company’s first ever Gadget Mass Index survey of 1,000 Americans, 42% of us suffer from it. 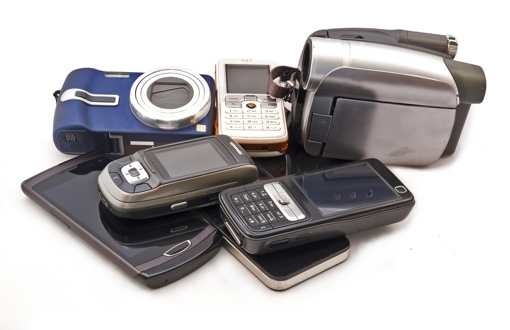 10% of us keep gadgets for between 7 months and 1 year, while 30% keep old items for 1 to 6 months before disposal. What motivates people to get rid of their outdated gadgets? For men, a key driver is declining resale value – the sooner you sell your old phone, the more money you can get for doing so. Women, meanwhile, are motivated by a desire for organization. After all, old phones and computers tend to be little more than clutter when stored. So, what should you do with your old tech to avoid gadget obesity? The most obvious answer is to sell your old phones and tablets – many can fetch $200 or more when you sell them back to your carrier, trade them in to an electronics store or use an online service like Gazelle or uSell. You can take a look at our How to Sell Your Phone for the Most Money guide for more information. Even if your tech is far too old to sell, these services will often safely recycle your device free of cost. That doesn’t mean you need to get rid of all your old devices, of course. If you’re worried about losing or breaking your current phone, it’s reasonable to keep a spare on hand as a no-cost loaner. Your old devices can be re-activated with your current carrier at no cost. I have gone through your blog “42% of Americans Suffer from Extreme Gadget Obesity” this is such a good topic. I really enjoyed a lot and the blog is really very interesting.